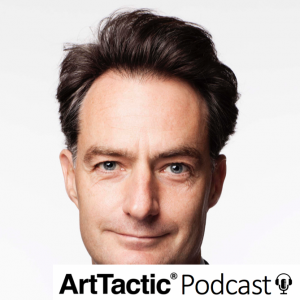 In this week’s episode of the ArtTactic Podcast we’re joined by Dr Tim Hunter, vice president of Falcon Fine Art, an art financing firm. First, Tim walks us through how their clients obtain loans against their artworks. Then, he tells us about the type of collectors they target and the common reasons why they need capital from their artworks. Also, Tim explains how Falcon differentiates itself from competing art lenders and speculates on the future of the art financing space. 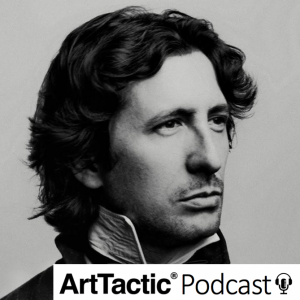 In this week’s episode of the ArtTactic Podcast, we’re joined by Francesco Bellanca, CEO of Feral Horses, a London-based platform that enables the buying and selling of shares of contemporary art. First, Francesco walks us through how the platform works and explains why he believes there is demand for the ability to transact shares of artworks. Then, he explains how they select the artists and artworks to include on the platform. Also, Francesco discusses what kind of returns investors should expect to earn on the platform. 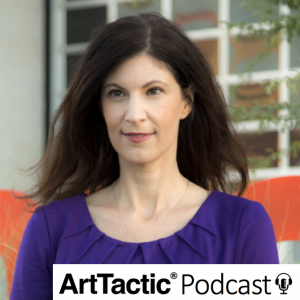 In this week’s episode of the ArtTactic Podcast, we’re joined by Lisanne Skyler, writer and director of Brillo Box (3¢ OFF), a documentary film following an Andy Warhol Brillo Box sculpture as it makes its way from her family’s living room to the auction block at Christie’s. The film debuts on HBO on August 7th at 10 PM ET. First, Lisanne shares with us what kind of collectors her parents were to purchase the artwork in 1969 for $1,000 at a time when nearly the entire art world was critical of Warhol’s new sculptures. Then, she tells us how many people foresaw Warhol’s importance and eventual legacy in the 1970’s when her parents sold the artwork. Also, Lisanne reveals why she believes the Brillo Box sculpture is such an important work in not only Warhol’s oeuvre but also in American pop art. Lastly, she recounts her parents’ emotions when they saw the Brillo Box sell at Christie’s for $3 million. 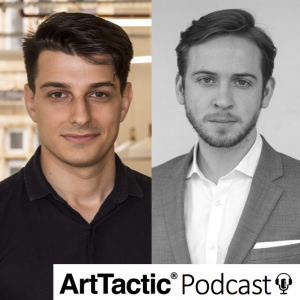 In this week’s edition of the ArtTactic Podcast, we’re joined by Liviu Tanasoaica, traveling exhibitions manager, and Balint Ferenczy, collections specialist, both from Vastari, an online platform focused on connecting collectors and museums curators for exhibitions as well as enabling institutions to collaborate with each other. First, Liviu and Balint explain how Vastari’s platform works for collectors and museum curators. Then, they discuss the different motivations for collectors seeking to include their artworks in museum shows. Also, they explain how difficult it is, without Vastari, for collectors to even connect with museums. Lastly, they share some success stories from their platform. 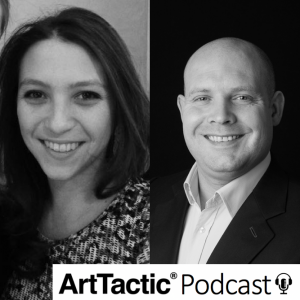 In this week’s edition of the ArtTactic Podcast, Ariane Moser, COO of Artive, and Frank Morey, CEO of Virtus Risk Management, joins us to speak about the Art Due Diligence Group, a new due diligence service in which they both belong, designed for the art trade. First, Ariane and Frank explain the purpose of the group and why an art collector would be interested in their services. Then, they identify some of the major challenges that collectors encounter during transactions and how Art Due Diligence can aid in avoiding them. Also, Ariane and Frank predict how the future of the art market will look and specifically the extent of due diligence that will occur surrounding high-value transactions. 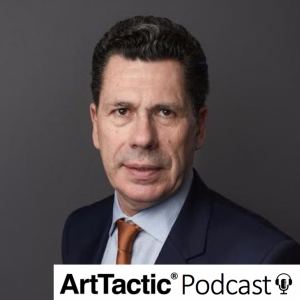 In this week’s episode of the ArtTactic Podcast, Simon Hornby, President of Crozier Fine Arts, a New York City based art storage, shipping and logistics company, joins us to discuss the art storage industry. 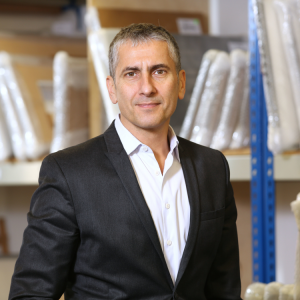 First, given the significant expansion of the art market over the past decade as well as the increase in the diversity of collectors, Simon reveals what trends he’s seeing in the art storage space. Then, Simon explains the different motivations why art storage is utilized by collectors and galleries and reveals to what extent art storage is simply used as a parking spot for collectors to buy and sell art. Also, he details why climate change has lead to an increased demand for art storage. Finally, Simon tells us the degree to which art storage facilities located within freeports compete with those located outside of them. 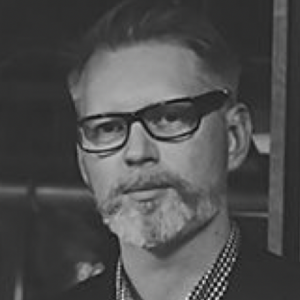 In this week’s episode of the ArtTactic Podcast, Johannes Frohlich, co-founder and CEO of Project Art, joins us to talk about his online art startup. First, Johannes introduces us to Project Art, a crowd curated online art marketplace. Then, he explains how he thinks he can differentiate Project Art from competitors in the crowded art e-commerce industry. Also, Johannes touches on how they attract emerging artists to sell on their platform as well as their strategy for targeting collectors around the world. 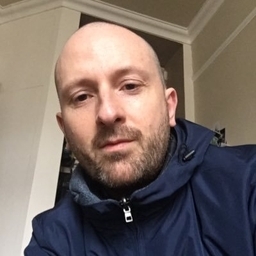 In this week’s episode of the ArtTactic Podcast, Gareth Harris, chief contributing editor at The Art Newspaper and contributor to the Financial Times, joins us to breakdown Damien Hirst’s Treasures from the Wreck of the Unbelievable exhibition in Venice, his first major show in ten years. First, Gareth retells his initial reaction to the show while walking through the exhibition during the press preview. Then, he explains what he meant when he wrote, “this is what art looks like when unbridled ambition meets apparently limitless financial resources.” Also, Gareth speculates why the show has been so polarizing, how galleries and museums are responding to the show and how this may impact Hirst’s declining market. 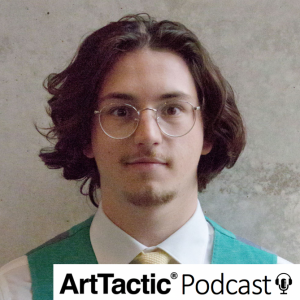 In this week’s episode of the ArtTactic Podcast, we’re joined by Tom Toumazis, investor and chairman of Tagsmart, an art startup providing technologically advanced art authentication solutions. First, Tom explains their DNA tagging technology and how it works. Then, he argues why it’s so important in today’s art market to have technologies like Tagsmart to authenticate artworks. Also, Tom walks us through the lifecycle of an artwork from the artist creating it to a collector buying it and how their tags may be utilized. Lastly, Tom touches on how they have persuaded prominent artists such as Marc Quinn to embrace their technology.